1.Seeing the way things are—more clearly. 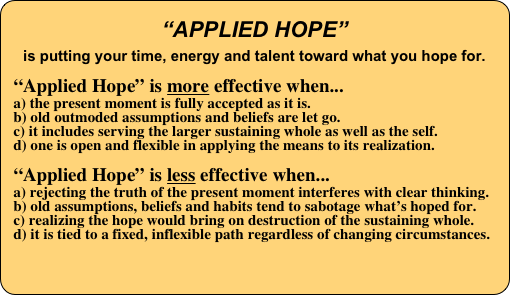 2.Giving up assumptions no longer relevant. 4.Becoming part of a loving community. 5.Redefining true “success” for you. 6.Speaking for those not yet born. 7.Holding live discussions on these topics. 9.Active in ending all wars and violence. 10. Active in supporting eco-sustainability. 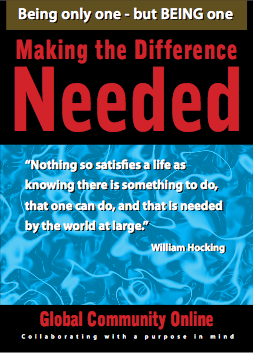 Feeling too small to make a difference? Watch these three videos; print out their words, and think again. Is not just foolishly romantic. compassion, sacrifice, courage and kindness. complex history will determine our lives. spinning top of a world in a different direction. we don’t have to wait for some grand utopian future.